We have now arrived at the eponymous, overriding motif of the Metamorphoses: the metamorphosis itself. These transformations occur for a wide variety of reasons, and can be either self-effected, or brought about by some divine intervention. They may serve either as punishment for a crime – as in the case of Actaeon, the poor unfortunate caught unwittingly spying upon a bathing Diana – or as a means of crime prevention, as in the case of Callisto and her son, transformed into constellations before the latter can unknowingly slaughter the former. In many instances, however, the metamorphosis is merely a physical expression of some deeply felt emotion. The most pathetic specimen of this type is undoubtedly Niobe, whose despair at Apollo’s murder of her fourteen children causes her to turn to stone, a figure of eternal grief. Transformation is also a fruitful motif in street art, offering almost unlimited aesthetic possibilities. This particular work is an especially accomplished example, although it is difficult to discern whether, as in the Metamorphoses, there is a deeper meaning to be derived from the subject’s change of form. Perhaps the central insight - of both works - lies merely in their understanding of the interconnectedness of all things. 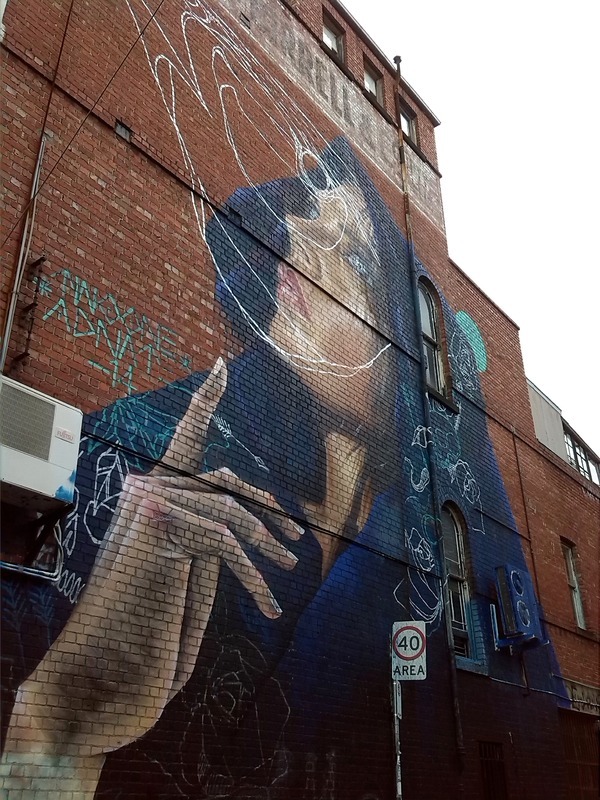 “Transmogrification: Moving Between Species,” Street Art deTours, accessed April 20, 2019, http://streetartdetours.com/document/955.